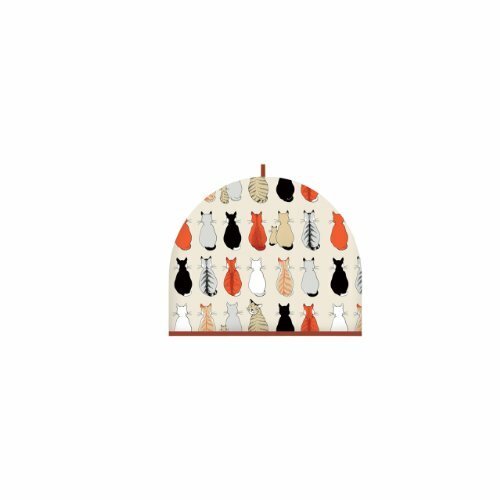 Ulster Weavers Cats in Waiting Tea Cosy. Tea parties are back in fashion. We have cafetiere and cosies galore in all shapes and sizes. With a mixture of traditional styles to quirky, shaped cosies. Each cosy comes with matching items and will make a perfect gift. Measures 13.8 x 10.6 Inch. An Ulster Weavers design. Machine washable. Cotton with polyester wadding.